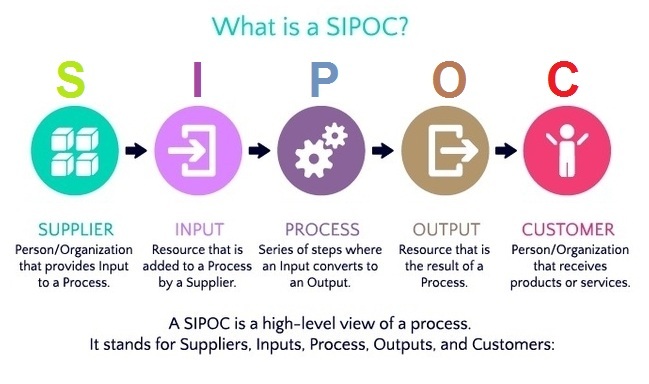 Sipoc – Sipoc Analysis – Sipoc Framework – Sipoc Business Methodology – SIPOC model is high level view of the process that specifies who the suppliers and customers are, what are the inputs and outputs and what is the high level process. Sipoc is one of the key Lean Six Sigma tools. SIPOC is quick way to document a business process and ultimately be able to resolve a business issue. Below sample images are examples of sipoc used in business management.